One of the things I like most about living here is the British humour. 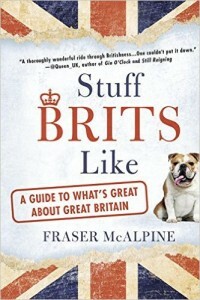 Brits are specialists at making fun of themselves and that I absolutely love. It didn’t surprise me one bit to read that the Queen was regarded as the most iconic Brit and that tea is the nation’s favourite drink. A bit more unexpected was that the Sunday roast and Curry beat Fish and chips in the competition of the favourite British dish. Some of the British traditions rub off on you. After three years I find myself apologizing needlessly a lot more than before. So much in fact that when I’m visiting Iceland my friends sometimes look at me as if I’ve turned into a an elf or a troll. I still don’t understand the love Brits have for boybands, soap operas and marmite though. 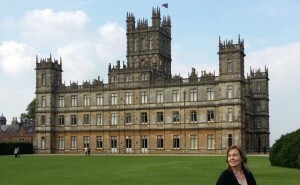 The last day of filming the very last episode of Downton Abbey took place in Highclere Castle yesterday. The series will air here in the UK this autumn, and as expected the last episode will be on Christmas Day. There will be carolling, that much we know already. There is also a new puppy called Pringles and… drumroll please! Carson will spill some wine! Oh my! Has good old Carson lost his touch? Will he and Mrs. Hughes get married? What will happen to Mary or poor Edith? Julian Fellows has not said much, but at least he’s said the theme of series six is resolution. ITV’s much loved period drama has been a worldwide hit. It regularly pulls in 11 million viewers in the UK alone and 25.5 million viewers watched series five. There have been rumours that there might be a Downton movie in the pipes. We’ll see! 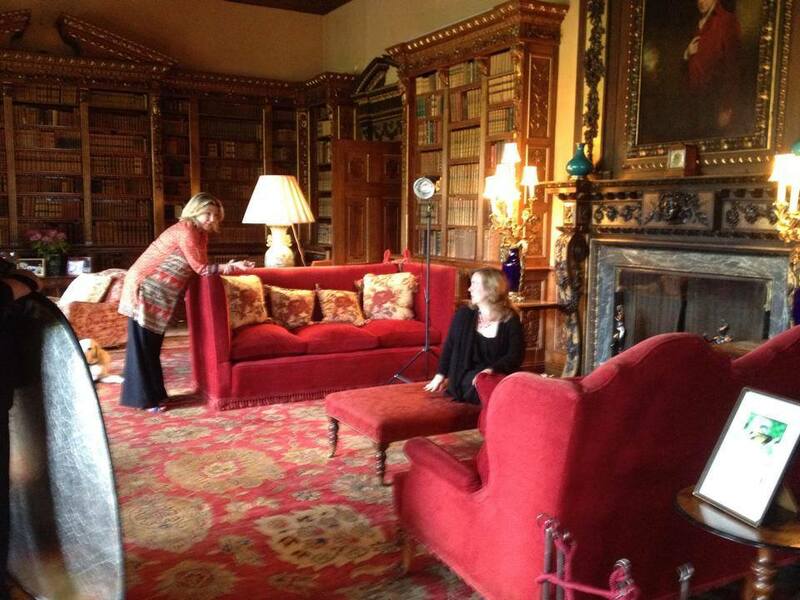 The photos are from my visit to Highclere Castle in August, when I interviewed Lady von Carnarvon for RUV. Now the media has been banned from taking photos of the paintings in the castle so this first photo is a bit special.